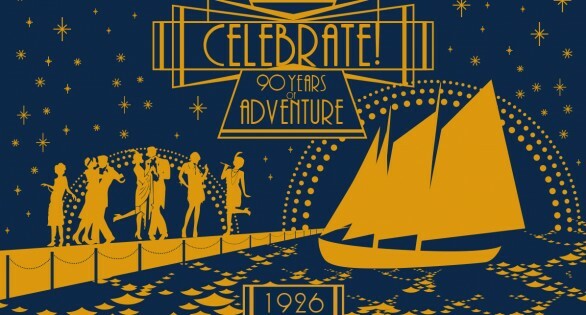 Schooner Adventure celebrates its 90th Birthday with a gala celebration on May 21, 2016! The Gloucester Adventure Board of Directors invite you to celebrate Schooner Adventure’s 90th Birthday and honor the individuals and institutions that supported the return to her home port and her faithful restoration. Enjoy a 1926-themed party with classic cocktails, fantastic food, a Fund the Need auction, music by Blackburn Stompers featuring members of the Cape Ann Big Band, dancing, and more! Proceeds from this special event will support Gloucester Adventure’s mission to preserve and operate Schooner Adventure, a National Historic Landmark, as a living symbol of America’s maritime heritage and to serve as a resource for maritime and cultural education for the enrichment of our community and for future generations.